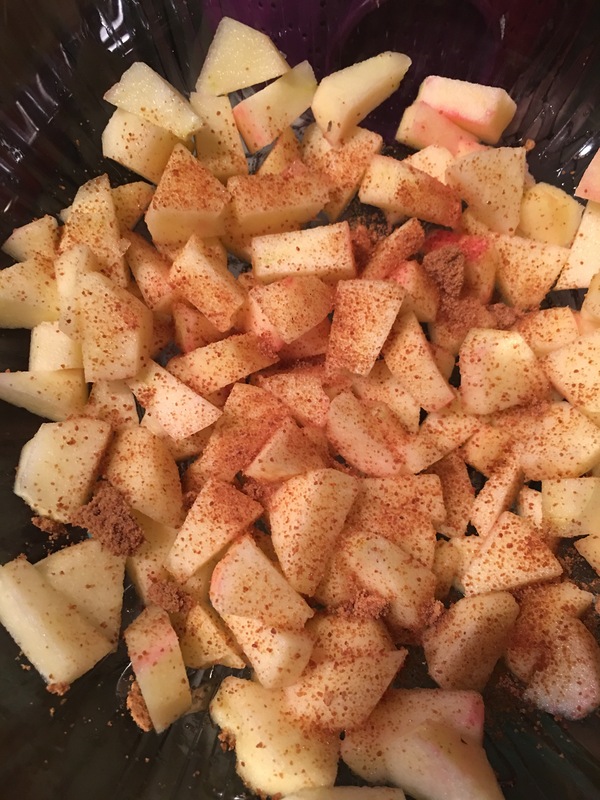 Baked apples with cinnamon sugar – Hurried Home Chef! 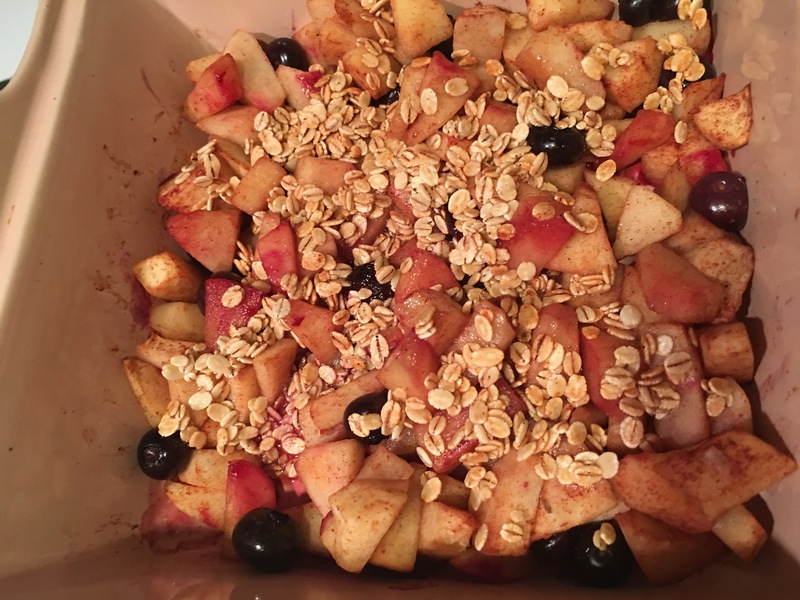 Whether you want a low calorie dessert, or have a ton of apples to use up, this is a simple way to make them and make your kitchen smell amazing too! 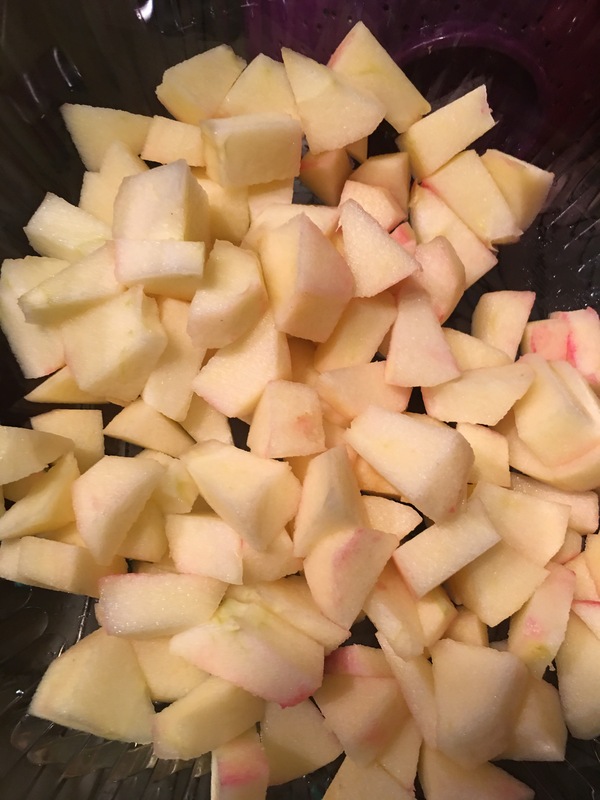 Dice the apples, you don’t need to peel them, just remove the seeds and cut however you’d like. Add some spices now. 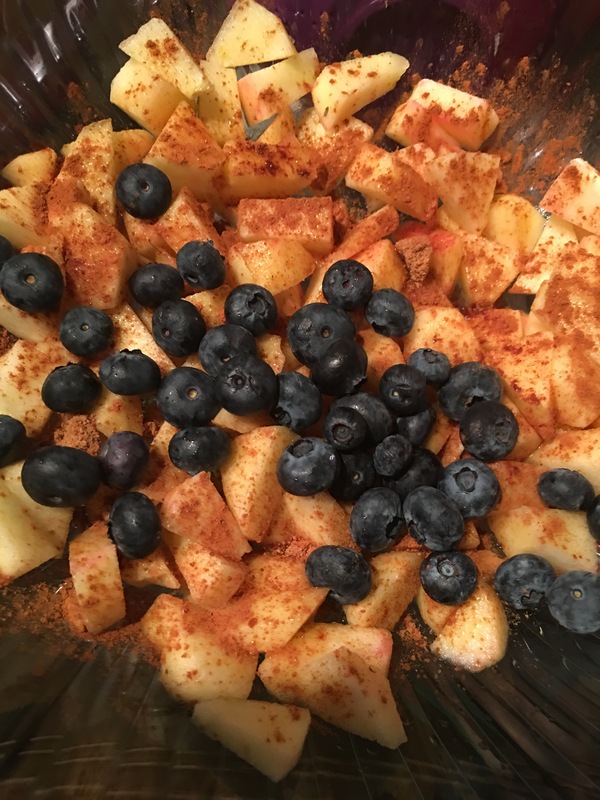 Here I used about 2 tsp of palm sugar and 1 tsp of cinnamon. Pumpkin pie spice would also work well here. 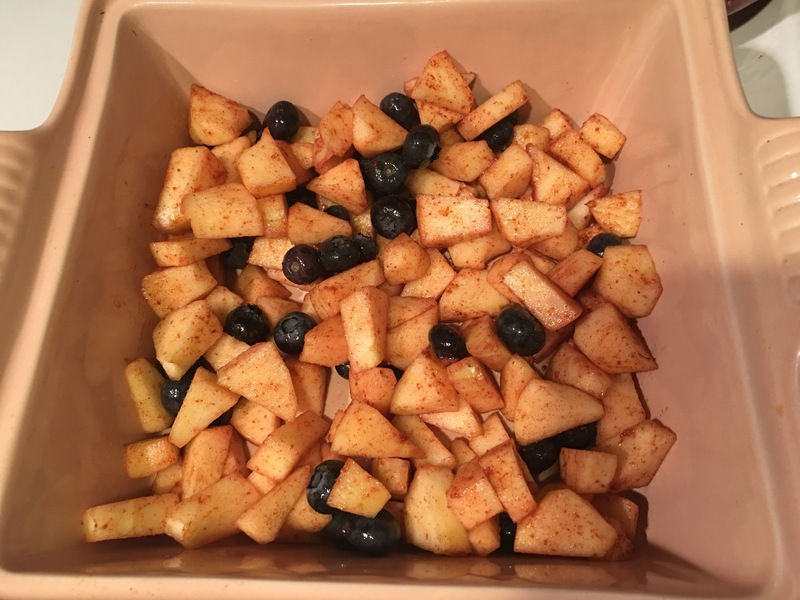 I had a few leftover blueberries about to spoil, I snuck them in as well. Any berry would be a good addition here. I had chicken in the oven, so I decided to bake it, covered, 350 for about 20 minutes with a little water at the bottom. A little granola will add some texture. 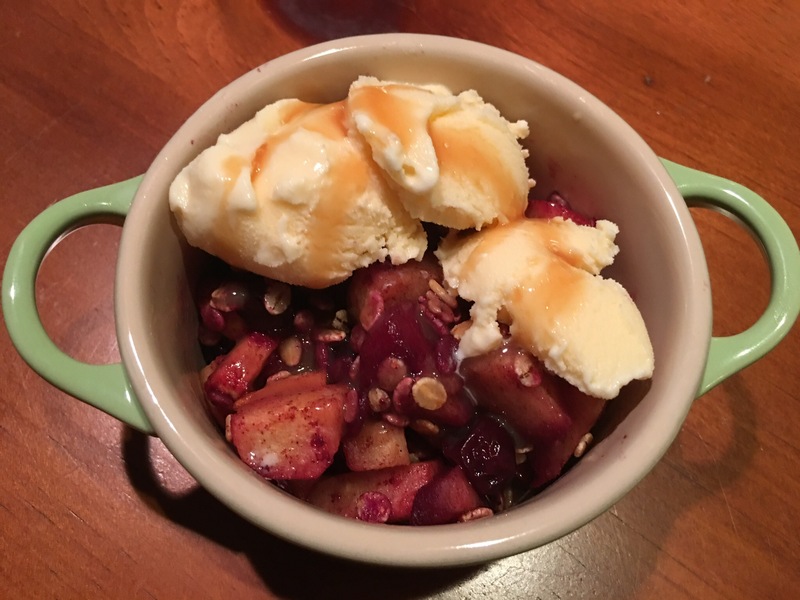 It can be easily topped with ice cream and caramel for those who need a bit more sweet!